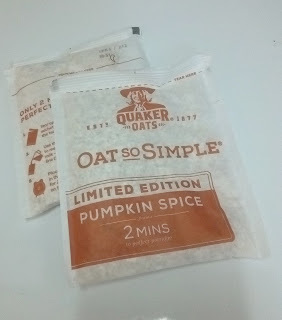 Tried the limited edition Pumpkin Spice by Quaker Oats. It was nice having it on a cold day as it was warming and comforting. 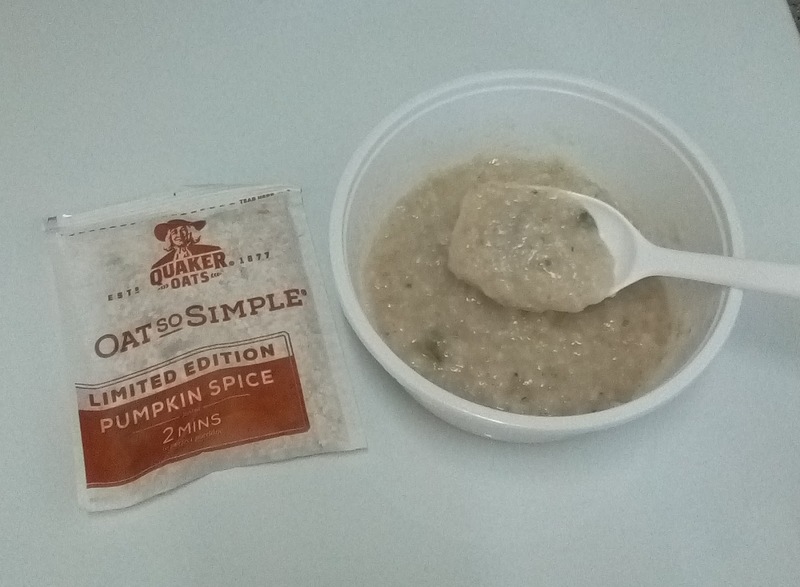 I wasn't sure what to expect but when I opened the packet I could see pumpkin seeds and smell cinnamon. 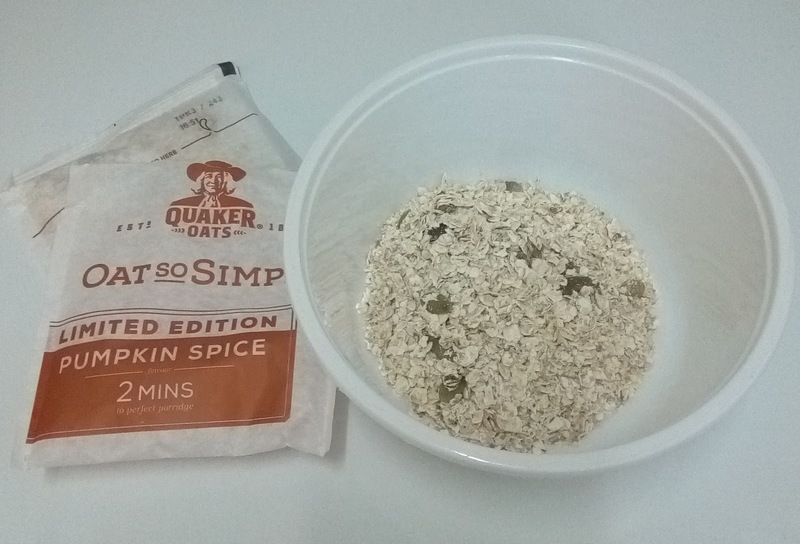 After adding milk and putting it in the microwave for 2 minutes it was ready to eat. 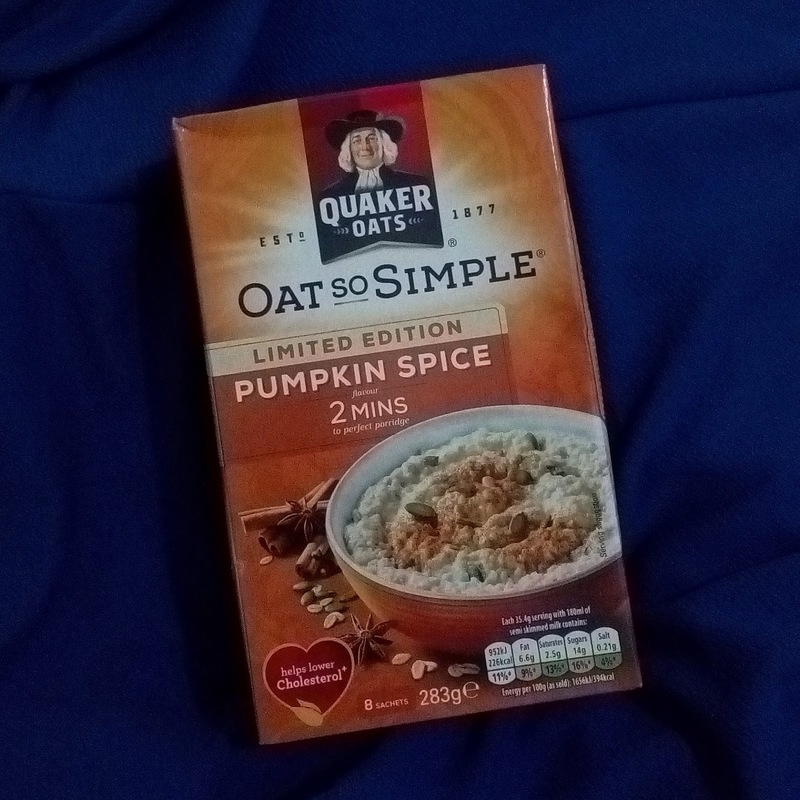 I don't have a sweet tooth but I found myself adding sugar to it. It had a nice cinnamon flavour and a good crunch from the pumpkin seeds but there was no pumpkin flavour to it.